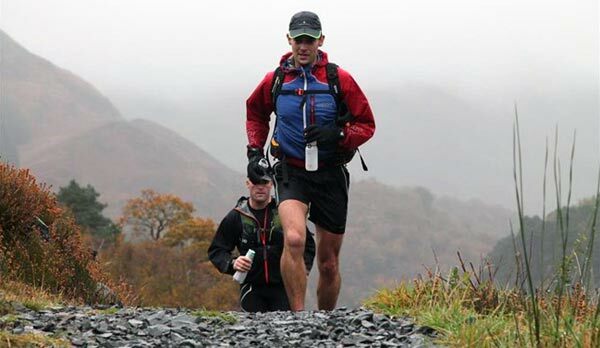 This year Chris Dykes has been training again to run a ridiculous 46 miles on 3rd March. Chris plans to manage the distance within 12 hours. Please help Chris support St Peter’s Hospice who provide specialist palliative care within the community across Bristol. 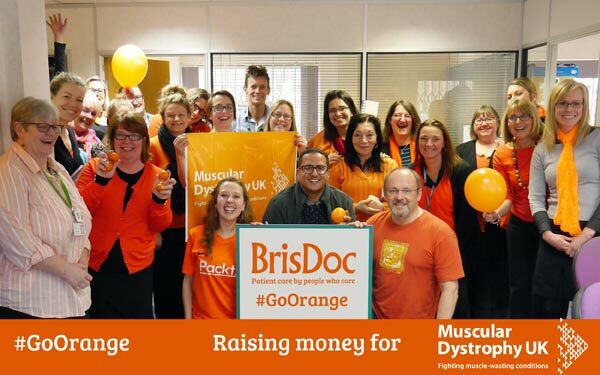 On the 6th February team members at BrisDoc's Head Office took part in "Go Orange Day", an event aimed to raise money and awareness of Muscular Dystrophy UK. 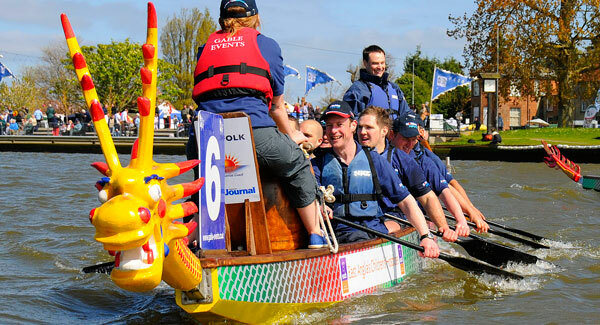 This charity supports the 70,000 people living with muscle-wasting conditions in the UK. 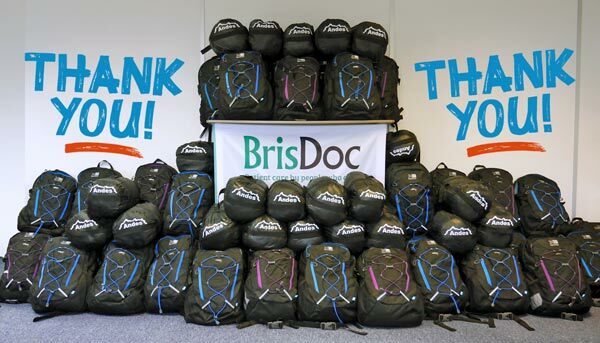 Thank you to everyone who helped make this year's Rucksacks for the homeless project such a fantastic success. In total we managed to fill 50 rucksacks, each containing a set of thermal gloves, scarf, hat and socks, clean underwear and a clean set of clothes, a full set of toiletries and a wind-up torch. Your local pharmacist (chemist) is your healthcare expert on the high street. They provide confidential, expert advice and treatment for a range of common conditions and will be able to help you decide if you need to see a GP or other health service. 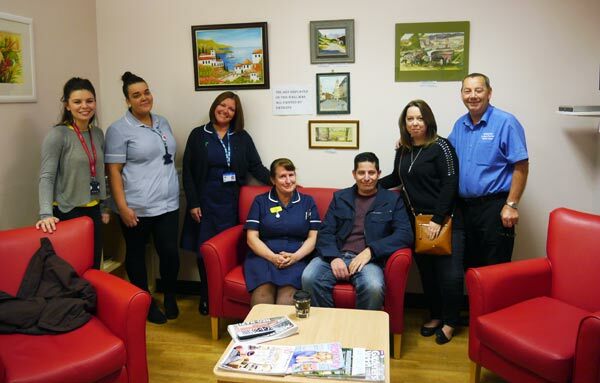 This month saw the grand opening of two newly upgraded family rooms in the stroke ward at the Bristol Royal Infirmary. The much-needed re-vamp was funded by BrisDoc’s Community Fund in memory of Julie Bridges who sadly passed away in January 2016 after suffering a stroke. A letter of congratulations from the Secretary of State for Health, Jeremy Hunt. This month we were very honoured to receive a letter from the Secretary of State for Health, Jeremy Hunt, congratulating us on the fantastic work being done at the Homeless Health Service as well as our recent ‘Outstanding’ CQC inspection. Marvin Rees, the Mayor of Bristol, kindly attended a talk this month on alcohol addiction from Dr Clare Fleming (GP at BrisDoc’s Homeless Health Service) to give his personal thanks to Clare who is sadly retiring from the service after giving 10 years of dedicated, selfless service to some of the most deprived and needy people in Bristol. The Care Quality Commission visited our Homeless Health Service on the 5th and 6th June 2017 and awarded us OUTSTANDING!